Labeled ZEMAITIS / Hand made guitars / 108 WALDERSIDE ROAD / CHATHAM, KENT / TEL. MEDWAY (0634) 65086 and inscribed by the maker Anthony C… Zemaitis 1978 England D.G., the metal truss rod cover engraved D*Gilmour, with later hardshell case bearing a label inscribed ZEMAITIS ACOUSTIC BASS FRETLESS 1978; accompanied by five handwritten letters from Anthony Zemaitis on A.C. Zemaitis headed stationery, three variously dated from 17th May to 14th August 1978, two n.d.
Bacon, T. and Day, P. The Ultimate Guitar Book, London, 1991, illus. p. 178. Having been introduced to Tony Zemaitis through his friend George Harrison, David Gilmour commissioned Zemaitis to build a half size guitar for his daughter Alice, later adding a fretless bass guitar to the custom order. An accompanying letter from Zemaitis to Gilmour’s guitar technician Phil Taylor, dated 17th May 1978, reads Tell Dave I remember him from George H’s place… The bass is now on the list and I’ll do it soonest. Can’t jump the queue with this as the other clients are all known to Dave!! (Stones, Donovan etc.) Zemaitis started building the bass at the end of June 1978, advising on 11th July: Have used one of my 7 yrs old fronts put by for specials! 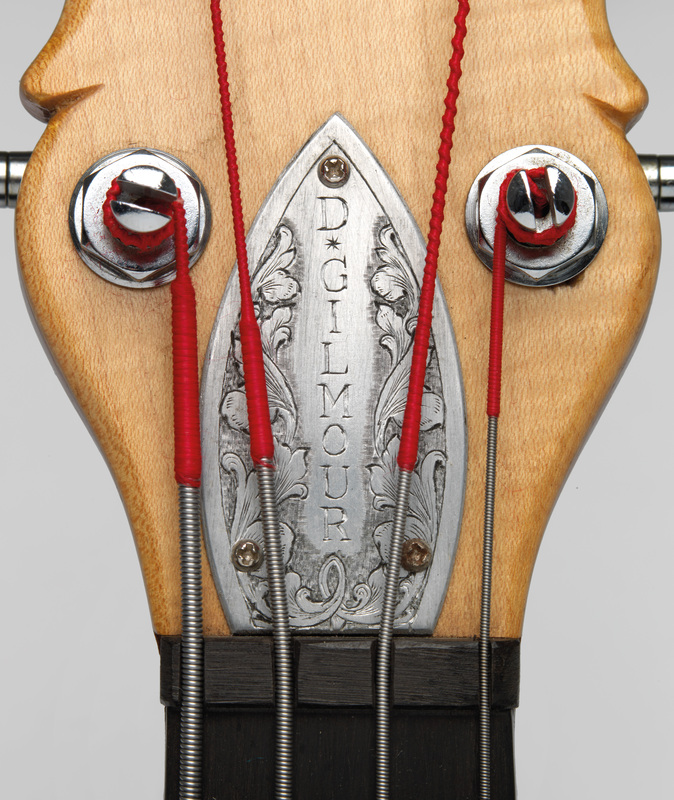 On 14th August 1978, Zemaitis declared that the finished bass was strong and clear… can’t ask for more than that!! Gilmour mentioned this guitar in a 1978 interview for the US radio show King Biscuit Flower Hour, telling DJ Bill Minkin: He’s [Zemaitis] making me a fretless bass guitar at the moment, an acoustic bass guitar, and a miniature acoustic guitar… for my daughter but I don’t think I’ll let her touch it for a few years! 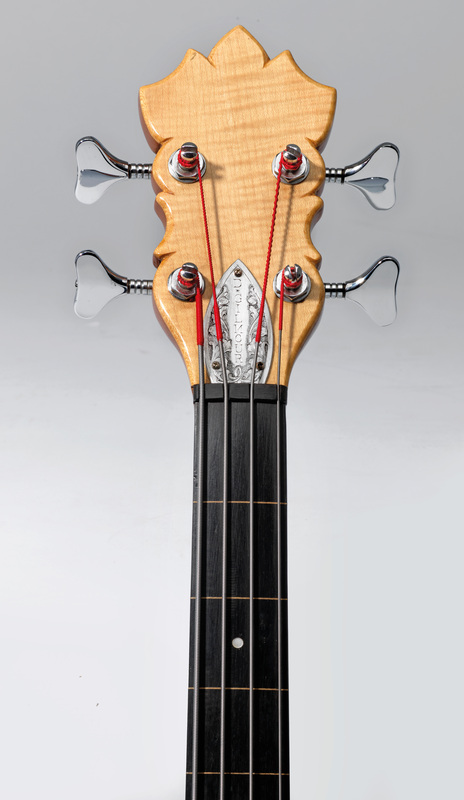 The custom bass was kept as a home guitar for private use. Among the exceptional British School of guitar making there is no work so iconic and so tied to British rock and roll history than that of Tony Zemaitis. Born in London in 1935, Zemaitis left school at the age of 16 to become a wage earner for his immigrant family. While committed to a five-year apprenticeship as a cabinet maker, he began tinkering with guitars. His first projects were repairing damaged instruments and in this amateur pursuit a passion took root and grew. 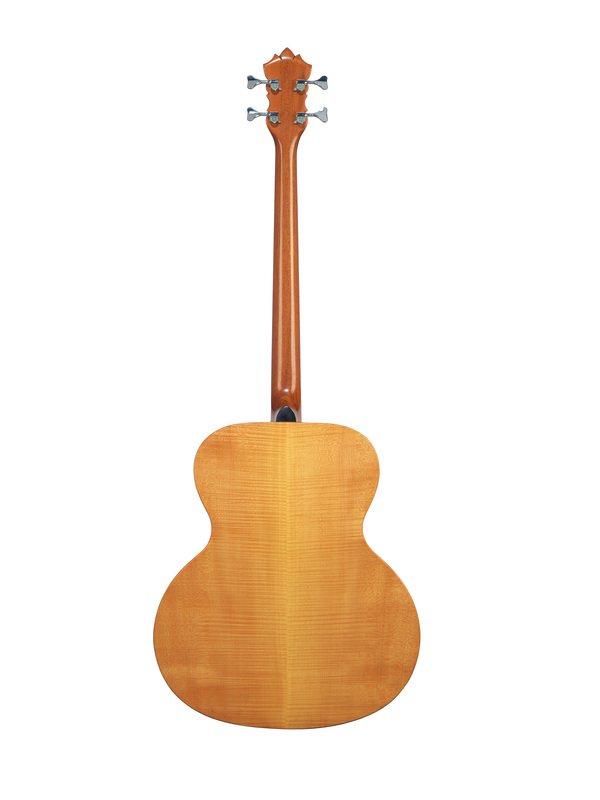 By 1957, Zemaitis was applying his learned woodworking skills in cabinetry by experimenting with making guitars. These early works made their way into the market where they received positive reviews from players in London’s folk and skiffle scene. With this growth in reputation he began receiving orders from the leading pop guitarists of the 1960s. Donovan, Eric Clapton and George Harrison all owned and performed on Zemaitis acoustics. In the 1970s his fame increased when he began making solid-body electric guitars and players such as Ronnie Wood, Keith Richards and Ronnie Lane all became devotees of Zemaitis electrics. 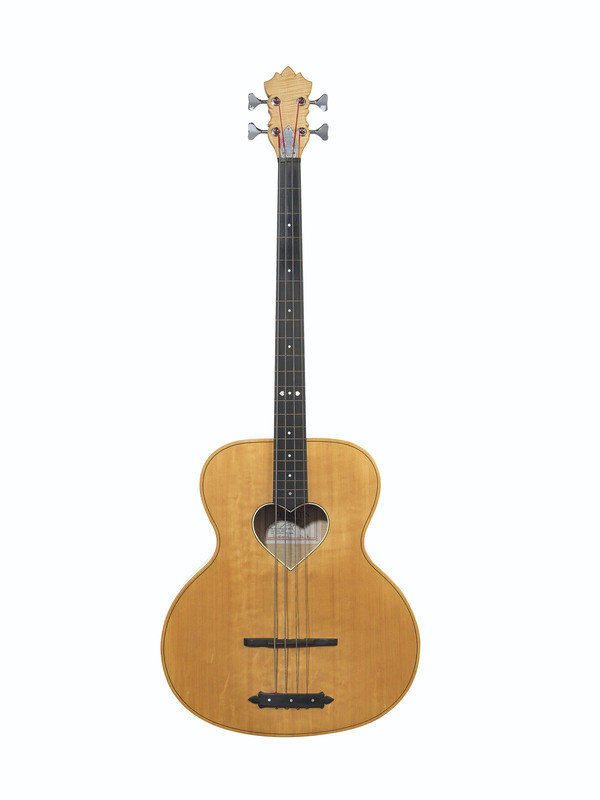 It was during this time that he began filling a void in the market by taking special orders to produce acoustic basses for players like David Gilmour, Ronnie Wood and Mike Oldfield. Tony Zemaitis would limit his production to just ten instruments per year with the expressed desire to never dilute the quality of his work. Each instrument was a custom production for a specific musician and his mission was that no two would be the same, yet his work would be instantly recognizable to any guitar aficionado. 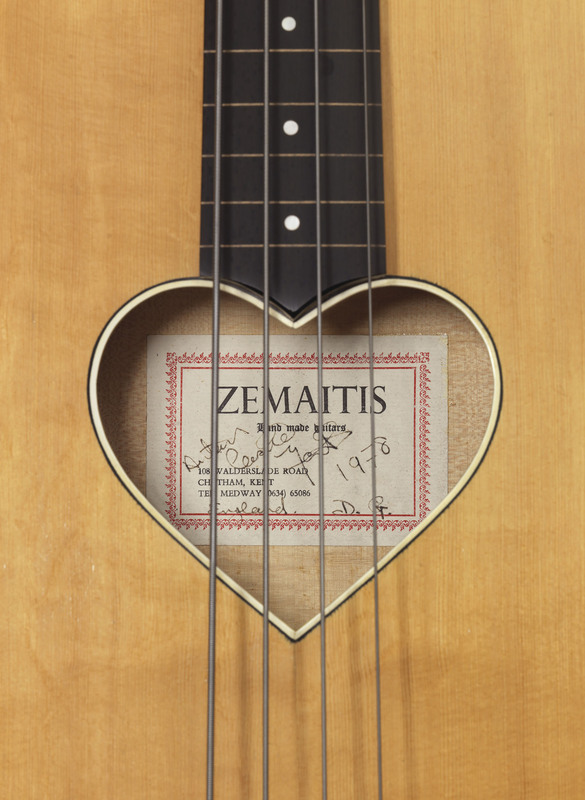 The metal fittings, intricately engraved by friend and gun engraver Danny O’Brien, the tastefully executed pearl inlays, and the iconic heart shaped sound-hole were signature components of the Zemaitis guitar.